Lamentations 3:24 The LORD is my portion, saith my soul; therefore, will I hope in him. “Portion…” I was preaching the other night and came across this verse and it struck me in a very deep way. I enjoy eating. I enjoy it a lot. So portion is a word I do not need a whole lot of dictionary digging to affirm its meaning in my heart. Immediately when thinking upon the word portion, I consider someone cutting a pie. The cutter looks around the table sizing up the eater he is cutting for and then factors in the other eaters at the table while considering the supply of pie. Sometimes the recipient begins to get a look of apprehension on his face as the cutter seems to be running out of pie. Oh, how that brings hope to the hungry table dweller. When it comes time for my piece to be cut, I begin to look with earnest attention. You see, this piece being cut is my portion. What hope charges through me when I consider the portion coming my way. This portion is the piece that is mine! 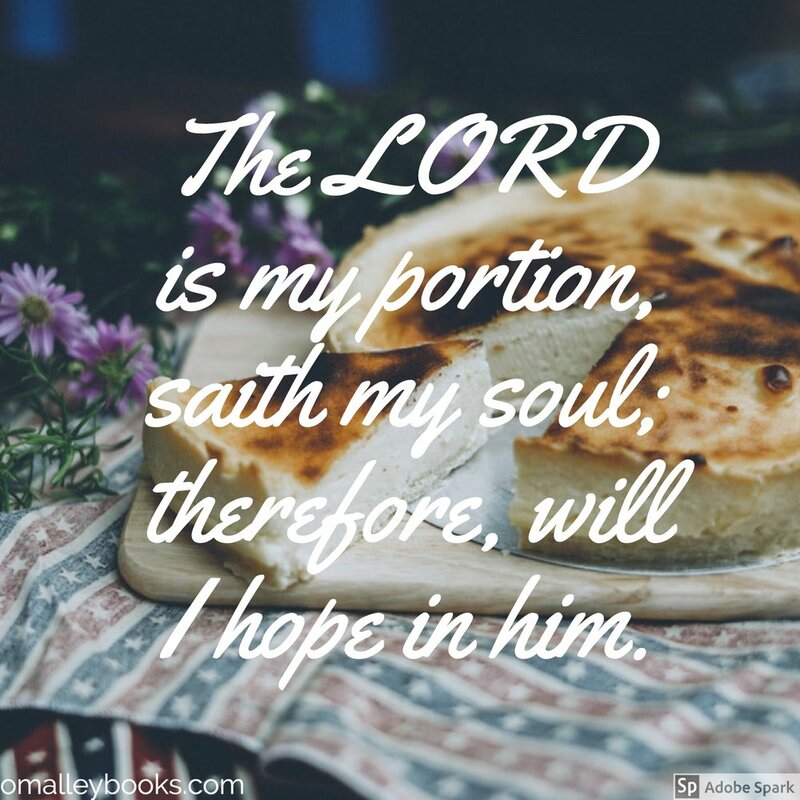 Our writer spoke of the Lord being his portion. He is the piece that is mine. What a comfort in this world in which we live where hope seems to ebb and flow as the tides of the sea! I have a portion in this life. The Lord is my portion. He is the piece that is I can count on with all that gets served to me in this life. Let hope grow once again. He, the Lord of Glory, is the piece that is coming our way!